I marveled – this young man had accomplished so much, and already he was career-weary. And, some moxie, too, to drop off a two story wall of water while performing tricks along the way. His voice was firm with the resolution that had made his achievements possible. We talked in a general way about sports, and I mentioned that I had worked at Runner’s World in the early 1970s. I told him about a conversation I’d had with Joe Henderson, the magazine’s founding editor, when we ran ten miles together in a recent marathon. Joe talked about the changes in running over the last thirty years. In the seventies, when the American runners were still competitive at the highest international level, many of them were friends who trained together and shared their methods, even as the world-dominating Kenyans do today. Joe told me that, with big money riding on every race, the Americans no longer feel comfortable hanging out and sharing their secrets. I told the body surfer that I’d spent much of my vacation snorkeling at Tunnels Lagoon. His voice rose with enthusiasm as he described the “amazing numbers of seashells” I would find if I swam straight out from the singer Charo’s house to a gap in the reef where the currents drop mounds of debris. “You’ll find many wonderful things!” he said, his pleasure in sharing contrasting with the weary tones in which he’d described his career impasse. I told him how, while I was at Runner’s World, I would often photograph indoor track meets that would begin with races for elementary school kids, and how the crowd would go wild, screaming and whistling as the tiny kids flailed around the track. I told him how it had struck me that the applause for the professionals was always much more subdued. The body boarder appeared to resent my saying this, as if I’d intended to cast a slur on his sport. “I like competition,” he said sullenly, as he stepped out of the car. I regretted that I hadn’t been able to explain my meaning more clearly. Putting down his sport was the last thing on my mind. I’d simply wanted to share a feeling that audiences respond with greater enthusiasm to a certain naive joy in sports, than to events that are tinged with too much adult hype and seriousness. Reflecting on our conversation, I wondered if the young bodyboarder’s simple happiness riding the waves as a boy hadn’t helped him rise to the top of his sport. If he could recover some of that unselfconscious joy, perhaps he could forget his competitors and perform even better than ever. It might take courage, because he’d have to become engrossed in pure play again, and less focused on external rewards. Going his own way, he might even find himself further distanced from his competitors. But his purity would surely win their respect in the end, and his joy might even inspire them. An idealistic scenario? A Pollyanna-ish ending for a Hollywood movie script? Possibly. In sports nowadays, it can be hard to find joy. Turning on the TV, the odds are excellent that we’ll be treated to the sight of professional athletes whining, brawling, and preening. Numbed by the parade of boorishness, we gloss over behaviors that would have brought a blush of shame to the cheeks of the great philosopher-coaches: people like Vince Lombardi, Jim Counsilman, John Wooden, Bill Walsh, Dean Smith, and George Halas. As fans, we may have to take what’s dished out to us. But as participants, we can craft our own experiences. Like Jordan and Pippen, we can make a conscious decision to turn sports, at our own level, into a quest for expansion – an artistic performance, a celebration, a spiritual search for joy. How can we experience pure joy in sports? We can learn a lot from great athletes who’ve shown exceptional qualities as people. Granted this is personal, but I’m very inspired when I see Ann Trason, the greatest female ultramarathon runner of all time, handing out cups of Gatorade at an obscure trail race in the hills north of San Francisco, motivated by the simple pleasure of helping old geezers like me. I’m inspired by Mark Plaatjes, winner of the 1993 World Championships marathon. The following year, during the New York City marathon, Plaatjes was running in the lead pack when an injury forced him to drop out. Instead of retreating to his hotel room to sulk, Plaatjes hobbled to the nearest aid station, where he volunteered his skills as a physical therapist to massage the slower runners. Aside from their amazing physical gifts, what are some of the traits that inspire us in great athletes? Gymnast Kerri Strug’s courageous performance at the 1996 Olympics comes to mind. With an injured ankle, Strug performed a vault that ensured a gold medal for her team. Surely, an inspiring quality in athletes is a heart that’s big enough to include others in its sympathies. Loving, expansive feelings aren’t exclusive to great athletes, of course, but can an athlete be considered truly great without them? Consider Ty Cobb. I first learned of the pro baseball Hall of Famer’s career when I was seven or eight years old. I happened to mention his amazing lifetime batting average to my father one day, and to my surprise, Dad fell silent. I knew from this that there was something vaguely wrong about Cobb, but it would be 45 years before I learned of his darker side, when I watched Ken Burns’s Baseball documentary on PBS. It dawned on me then that my father had been unwilling to discuss Cobb’s faults, however reprehensible, and that it was a reflection of Dad’s goodness that he’d been reluctant to do so. But, hey, let’s be realistic. Sure, everyone loves a jock with a heart of gold, but can athletes truly afford to harbor big, floppy feelings? Can an NFL linebacker afford to love his competitors? If he treats them with kindness, won’t they cheerfully murder him where he stands? (Certainly.) On third and goal, there isn’t a lot of room for politeness: “Yo – after you!” “No, no – after you!” Of course, whether winning requires beating the crap out of someone depends on the sport, but there’s solid scientific evidence that expansive attitudes contribute to athletic success, and not only by distracting us from energy-draining negativity. In his wonderful book, Running With the Legends, journalist Michael Sandrock compares the ever-cheerful Frank Shorter, whose phenomenal career spanned 10 years of racing at the highest level, with Derek Clayton, the Australian former marathon world record holder (2:08:33), whose career was plagued by injuries, thanks to his ruthless approach to training. Sandrock observes, “Lots of runners train hard, but only the select few are able to put it together when it counts.” Meaning, presumably, that a ruthless attitude doesn’t always win the race. At the 1972 Olympics where Shorter won Gold, Clayton finished a disappointing thirteenth. Our everyday experiences tell us that contractive feelings sap energy. Shorter was right: life is too hard to waste energy hating others. Moreover, the notion that expansive feelings such as love and kindness promote health and improve performance is no longer mere airy sentiment. 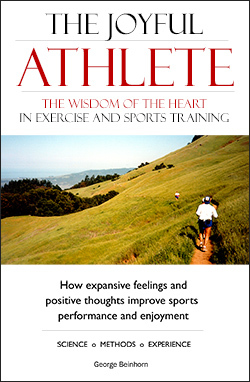 It’s been verified by the discovery of the electrical and chemical pathways by which the effects of our positive and negative thoughts and feelings are carried to the most distant parts of our bodies, including the immune system, which is vitally involved in sports training and recovery. Bruce Ogilvy, Ph.D., a pioneering sports psychologist, once studied the factors that had prevented a group of world-class badminton players from breaking through to the top of their sport. Ogilvy found that the second-tier athletes tended to beat themselves up mentally for their mistakes, while the champions simply noted their errors and moved on, wasting no energy on self-recrimination. The top players inwardly reviewed their mistakes and quickly turned to the next task. Negative self-thoughts sap our energy. They are self-defeating. Jordan seemed almost innately joyous. His pleasure seemed to come from playing basketball, and he generated the most natural kind of self-confidence….He was going to be a great player, Loughery [Jordan’s college roommate] thought, not just because of the talent and the uncommon physical assets but because he loved the game. That love could not be coached or faked, and it was something he always had. He was joyous about practices, joyous about games, as if he could not wait for either. Not many players had that kind of love. All too many modern players, Loughery believed, loved the money instead of the game. But Jordan’s love of what he did was real, and it was a huge advantage. A cornerstone principle of spiritual teachings throughout the ages holds that each time we make our awareness a little bit larger, our soul – the internal conduit for God’s infinite bliss – rewards us with a corresponding little extra shot of joy. The world’s spiritual teachings tell us that cultivating expansive, positive thoughts and feelings promotes health and wellbeing, while negative thoughts and emotions poison the body and make it vulnerable to disease. If joyful, expansive attitudes can spread good vibrations throughout our bodies, they surely won’t stand in the way of sports achievement, and they may, in fact, give us a powerful advantage. In every area of our lives, positive, life affirming attitudes are keys to success: in relationships, business, child-raising, and sports. Even if our goal is just to lose ten pounds, our joy in the achievement will be amplified if we can devise ways to shed the pounds “expansively” – perhaps with the goal of having more energy for to serve our family and friends. It isn’t hard to understand how expansion works. Consider the experience of people who start an exercise program. After the first few uncomfortable weeks, they find that they can climb stairs, take out the garbage, and play with the kids with greater zest and freedom. As fresh energy spreads throughout their being, they find themselves feeling happier, more mentally alert, and more in tune with the life around them. Where they were formerly dragged down and confined by the torporous mass of their own flesh, they now have visions of surfing on waves of energy. Their awareness – the range and force of their bodies, hearts, and minds – has expanded. The world’s spiritual teachings tell us that these welcome increases of happiness are mere hints of an even greater expansion of joy that awaits us, as we extend our awareness sufficiently to loosen the ego’s grip and open our hearts to God’s boundless love and bliss. Still, there are excellent grounds for believing that athletes who are expansive get more out of sports, at least in the dimensions of their being where they’re expansive. (Whether they also perform better is up to science to decide.) It may not take loving feelings to win the Super Bowl, but if you can get through the bloody battle with some part of your essential humanity intact, who’s to doubt that it will add a positive dimension to the experience. Consider the great philosopher-coaches mentioned earlier. Take Jim Counsilman, the swimming coach who built a dynasty of NCAA champion teams at the University of Indiana. Counsilman worked tirelessly to combat selfishness and narrow heartedness among his swimmers. He devoted a great deal of ingenuity to making their workouts fun, because he believed that a relaxed atmosphere, colored with positive, expansive feelings enhances athletic performance. Or take John Wooden, the legendary UCLA basketball coach whose teams dominated the NCAA in the 1960s and ‘70s, winning 10 national championships. Every UCLA player was required to study Wooden’s famous “Pyramid of Success,” which included such expansive values as “cooperation,” “enthusiasm,” “loyalty,” “friendship,” and “team spirit.” Wooden’s autobiography, My Personal Best: Life Lessons from an All-American Journey, published in 2004 when he was 94, is one of the most inspiring sports books of all time. There’s also a wonderful video, Values, Victory and Peace of Mind, in which the “Wizard of Westwood,” still clear-eyed at 90, presents the Pyramid, with respectful appearances from former UCLA players Bill Walton and Kareem Abdul-Jabbar, and NBA coach Phil Jackson. 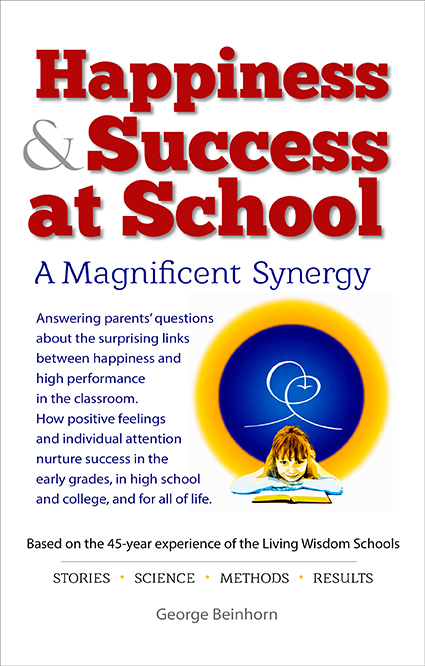 When Season of Life was written, Gilman School had been state champion two years in a row, winning all their games and being ranked among the nation’s top ten high school football teams. My best performances as a runner are not impressive. Thirty-two years ago, at age 32, I ran a 5K in 18 minutes, a mediocre time, and it like to killed me. I’ve never been able to run 400 meters faster than 80 seconds. At age 53, after training hard for seven months, I eked out a 10-mile race in 70 minutes, thereby earning no bragging rights. In my mid-twenties, I spent two years paralyzed from the chest down (a tumor was compressing my spinal cord), and although I recovered, my right leg still isn’t hooked up properly. The surgeries to remove the tumor left me with a feeling of irritation in my upper spine, as if my brain and heart were cross-wired and short-circuited. I’ve got the body of a great African runner, all right: the biomechanics of a rhino, and the VO2Max of a tree sloth. Yet I find that I can experience joy fairly reliably if I cultivate expansive attitudes when I run. In fact, it’s a particular feature of the law of expansion that you don’t have to be fast, young, or talented to make it work. You don’t even have to be fit, because you can taste the joys of expanded awareness by “nudging your edges” and becoming larger in any single dimension of your being: body, heart, will, mind, or soul. You’ve surely met people like that – men and women who were overweight and unhealthy, but who were happy in the areas of their lives where they expressed expansive qualities – like kindness, love, or courage. Several weeks ago, I had an unusual experience while I was running at Rancho San Antonio, a beautiful 1200-acre park in the foothills of the San Francisco Peninsula. The message struck a chord. The six- and seven-hour training runs required by the ultra sport were taking a toll on my relationships and work. At the same time, it was a bit discouraging – I had invested so many years, run so many thousands of miles – and, for what? “Retire!” sounded ominously like quitting. But what could I look forward to? A week later, I was thinking about this again during a 10-mile run in the hills behind Stanford University, and feeling a bit discouraged. I certainly didn’t want to quit. If that’s what “retire” meant, it wouldn’t be a pill that I could eagerly swallow. Several miles later, near the end of the run, I was warming down, feeling a bit sandbagged, when I passed a grassy field where three Stanford soccer players, a woman and two men, were practicing a ball-control drill. The players were gold-rimmed against the green grass by the late-afternoon sun, and for some reason the scene captured my attention, and I slowed to watch. A player ran toward an orange plastic pylon, then cut back sharply while a second player tossed him the ball; the first player then kicked the ball into the arms of the third player. They repeated the drill over and over, with relentless skill and fully absorbed attention, and for reasons that I can’t begin to explain, my heart was flooded with joy. The scene seemed to embody the Zen concept of “suchness” – it was a thing complete in itself, a small miracle of beauty and economy, and I nearly wept with happiness. My fatigue vanished, and I sailed through a nearby eucalyptus grove on legs as light as air. A moment of simple magic had released an energy and joy that washed my fatigue away. What if I could run that way again and again? Could I banish fatigue by expanding my heart to the point of self forgetfulness? What lessons would I have to learn in order to repeat the experience at will? Casting my mind back over my three decades as a runner, I realized that I had experienced a similar joy at other times – an inner warmth of heart, or perhaps a fusion of energy and silence. And always, those moments had come when I succeeded in opening doors through which my awareness could escape the narrow confines of the little ego and emerge into a wider reality. My life as a runner had taught me a simple lesson: that expansion equals joy. I no longer felt discouraged about letting go of ultramarathons. The spiritual teachings of the world tell us that life offers us endless experiences for expansion into joy. As one spiritual teacher put it, “You go on until you achieve endlessness.” I realized that there was still much to look forward to. 1 Daniel Goleman. Emotional Intelligence. New York: Bantam Books. 1997. pp. 168-169. The study mentioned is: Howard Friedman and S. Boothby-Kewley, “The disease-Prone Personality: A Meta-Analytic View,” American Psychologist 42 (1987). 4 Marx, Jeffrey. Season of Life: A Football Star, A Boy, A Journey to Manhood. New York: Simon & Schuster, 2003.